In the desert, life is a struggle and beauty is even harder won. In Living Desert, Buckley captures plant life that has thrived in the most rugged conditions, including cactuses, agaves, aloes and shrubs. 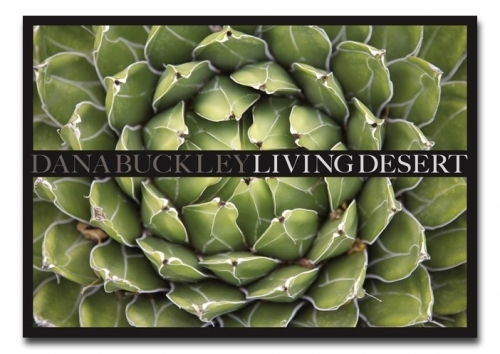 Buckley sees beauty everywhere in the desert and presents life in all its brilliance, from the rare to the everyday. Buckley traveled to some of the nation’s most undiscovered terrain to assemble her second book of photographs. The images contained inLiving Desert come from the Arizona-Sonaro Desert Museum in Tucson, Arizona, the Anza Borrego Desert Park, Borrego Springs, California, Huntington Gardens, San Marino, California, Joshua Tree National Park in Yucca Valley, California, Palm Desert, California, and Lotusland, Santa Barbara, California. “To me, the dryness of the desert has a certain resonance with the cement and stone of New York City, while the desert’s mountain backdrop is reminiscent of the jagged skyline,” says Buckley of the desert that offers both a comparison and contrast to the starkness of urban life. “This experience required a new kind of patience; rather than trying to alter the environment to get the shot I wanted, I yielded to its might and majesty,” said Buckley. Ten percent of the sale of each of Buckley’s books, which is dedicated to the memory of her brother Richard D. Buckley, will be donated to the Richard D. Buckley Fund to support radio broadcasting at the University of Miami.